African Rainbow Capital (ARC), the investment company mining magnate Patrice Motsepe launched in 2016, will list some of its assets on the main board of the JSE in September, raising about R4bn in the process. Through a vehicle called ARC Investments, the company will list nearly half of its financial services interests, which will include stakes in retirement administrator Alexander Forbes, short-term insurer Santam and fledgling stock exchange A2X. ARC will also list all of its nonfinancial services interests, which include investments in telecommunications and agriculture. ARC Investment’s directors have placed the value of this portfolio at R4.5bn. "The universe for attractive empowerment transactions is vast and is not limited to a certain sector or size," said Johan van der Merwe, ARC’s joint-CEO. "In order to increase the scope of our potential transactions [in diversity and size] we believe it makes sense to stretch our investment reach by accessing the capital markets. This will allow ARC to share the competitive advantage that its investment vehicle brings. The impact of empowerment is therefore enhanced by bringing together empowerment and public funding." Of the R4bn targeted from the listing, R1.9bn will be raised from a private placing of the shares with selected investors, while the Public Investment Corporation, Sanlam Private Wealth and the government of Singapore’s GIC Private Limited sovereign wealth fund have pledged another R2.1bn — acting as cornerstone investors. 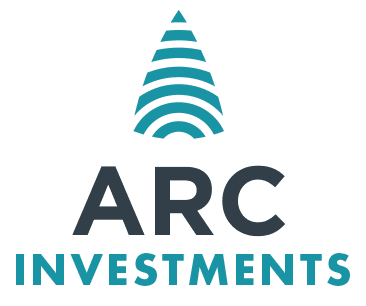 ARC plans to use the proceeds of the listing for other investment opportunities, and to fund the balance of the pricetag for Multisource Telecoms (Rain), its most significant investment. Rain is a mobile network operator focused on data services, and holds the only licence in the 2,600 megahertz band — the most sought-after by operators, ARC said. "Rain has made significant progress in building a dedicated national LTE Advanced network, which is live and carrying commercial traffic," said ARC. "This infrastructure will eventually facilitate an environment where open access to the internet becomes a reality in SA, with the best possible quality and internet speed, at affordable rates."